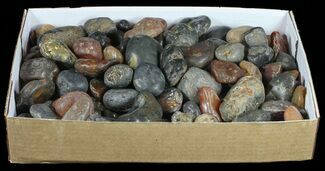 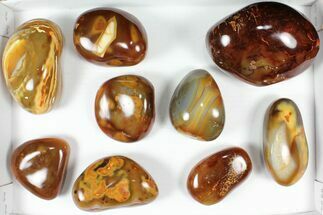 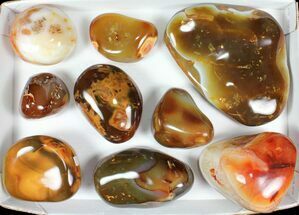 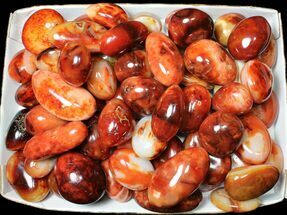 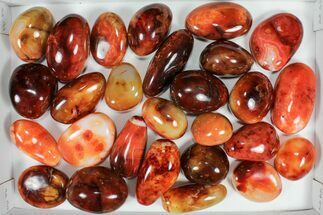 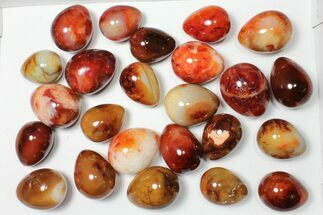 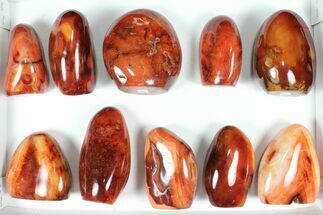 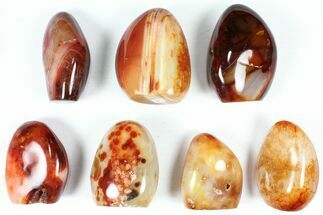 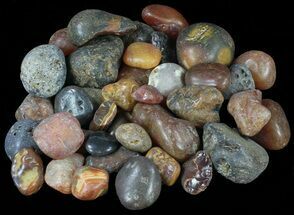 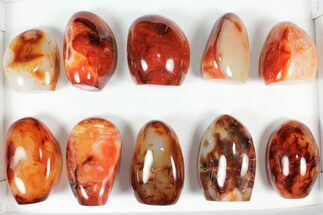 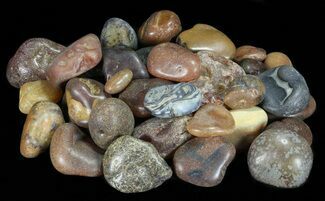 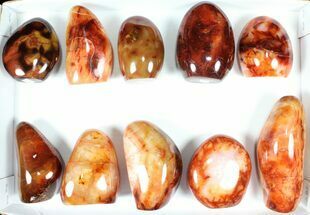 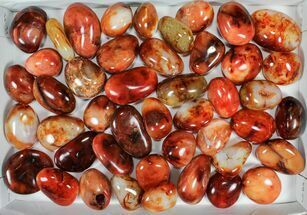 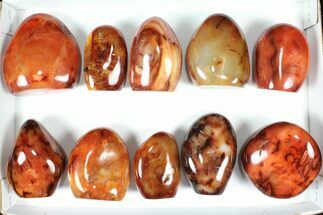 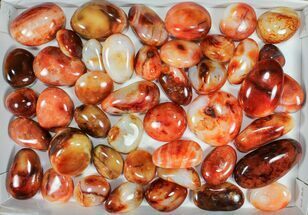 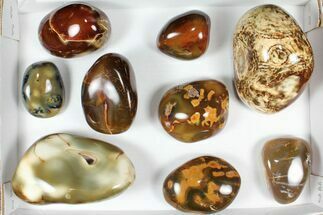 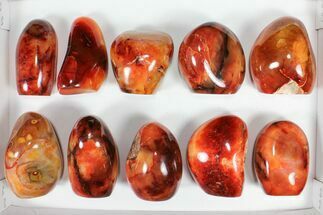 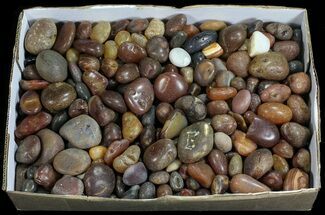 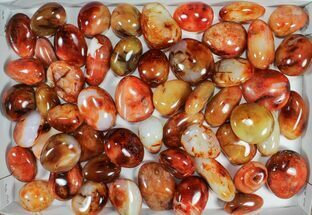 We have vibrant, polished, wholesale Carnelian agate from Madagascar including hearts, spheres, eggs and free-formed polished pieces. 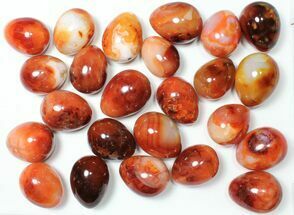 Top quality material in reasonably price wholesale lots. 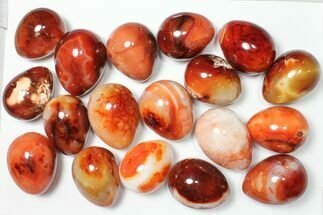 Carnelian is a semi-precious stone consisting of an orange or orange-red variety of chalcedony/agate. 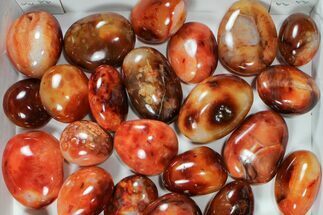 It's name is believed to come from the Latin word carneus, meaning 'flesh colored'. 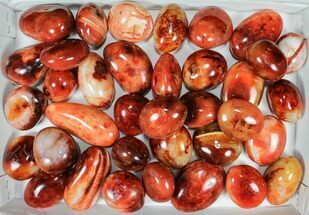 The reddish color is due to the presence of iron oxide impurities in the silica which makes up the chalcedony.